This is an annotated list of databases produced by Illinois State Agencies listed by database subject. It was last checked for broken links on 4 January 2019. Locate state prisoners by name, control number or date of birth. Records include description, photos, distinguishing marks, project release date, information on conviction leading to current sentence and holding institution. This is an archive of court opinions from the Illinois Supreme Court, the five Appellate Courts, from 1996 to the present; the Workers Compensation (from 2005 to present) and the Industrial Commission (from 1996 - 2004). Search by last name, first name, zip code, status and offender type. Records have Dates of Birth, offender photograph, aliases, physical description and last known address. Search for full text Illinois state documents that have been deposited into the Illinos State Library's Electronic Documents of Illinois database. Documents can be searched by subject, issuing agency, or a website search (keyword). For current documents that may have been deposited within the last 30 days, search under "what's new." From the website, "a searchable database of state contracts and campaign contributions. This website combines information from the Comptroller's accounting system with official semi-annual campaign finance disclosure reports filed by political committees with the Illinois State Board of Elections. The data is presented in a format that allows users to enter the name or partial name of an entity that conducts business with the State of Illinois and compare that entity's State contracts with political contributions it made." Database for Illinois citizens to look through and sign up for health insurance as part of the Affordable Care Act. Customers search by entering their zip code and follows through the process. Also displays contact information for Assisters in that area who can help customers through the process. Provides quality measures of hospitals including in-patient mortality, process of care and in-patient utilization. Searchable by region, county, city, zip code and facility name. Allows comparisons to be run between hospitals. Searchable database of House and Senate legislation from 1997 forward. Includes bill tracking capabilities. Free registration is required. 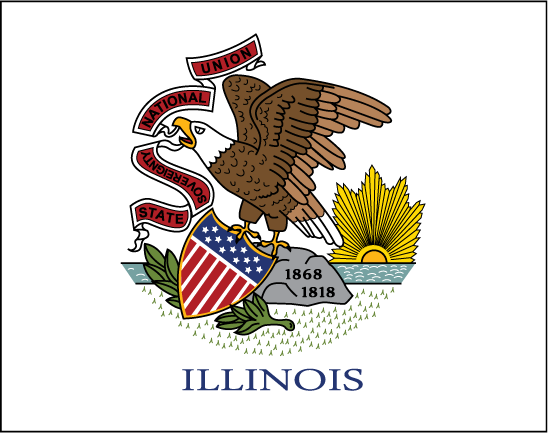 Contains several searchable resources including: searching through the Illinois Compiled Statutes; Administrative Rules; Legislative Reports as well as pending bills and public acts. Search for banks, mortgage bankers and pawnbrokers using business name, type of institution, city, state or county. Records include street address, mailing address, license number and status and more. Search by name and profession or by license number. According to the website, "License Look-up results include the Licensee's Name, License Number, License Status, City and State, Original Date of Licensure, License Expiration Date and Disciplinary Action Indicator." Covered professions include doctors, accountants, alarm contractors, among others. From the Illinois Office of Tourism, this is a database that allows one to search through about 10,400 items to review based on eight different broad subjects (Arts & Culture, History, Sports & Gaming, etc...) based on which subject heading chosen, there are other drop down choices to help narrow options. Free text search of vital statistics, including births, deaths, abortions, infant mortality and marriages and divorces. Total Mass Layoffs in Illinois. Extended Mass Layoffs in Illinois. Annual Extended Mass Layoffs in Illinois. Monthly, Weekly Extended Mass Layoffs in Illinois. Plant Closures in Illinois by Year and Industry. If you know of Illinois produced databases in these subjects shown here, please use the "email me" link in the Documents Specialist box above to drop us a line.